Outside of the Box: Softy Individually Wrapped Hand Sanitizing Wipes Review! Back in December, I was lucky enough to get the chance to review Softy All-Purpose Sanitizing Wipes and have been using them ever since (because seriously, this is a HUGE container of sanitizing wipes!). Since these have been amazing addition to the kitchen since the day I received them, I was excited to receive a message from Softy asking if I would like the opportunity to review their new product – Softy Individually Wrapped Hand Sanitizing Wipes. Let’s just say that I couldn’t say YES fast enough! One reason that I was super excited to receive this product is that I work with children every day…sanitizing is important to avoid getting sick! I’m constantly working with children that are sneezing, sniffling…and often not using a Kleenex when they should. Usually, I have to wait until I get a chance to go back to my office before I can scrub my hands or use hand sanitizer, but now I’m lucky that I can have these individually wrapped wipes with me at all times! I can meet with a child, sanitize my hand with a wipe when I finish my session with them, and be prepared for meeting with the next child without spreading any unwanted germs! I love that these are easy to travel with…I throw a few in my portfolio or purse and go! With a large container, I couldn’t easily do this, so I think Softy created a great product when they made this one. Hopefully now that I have these, I can avoid getting sick as often in the future! (Fingers crossed!) 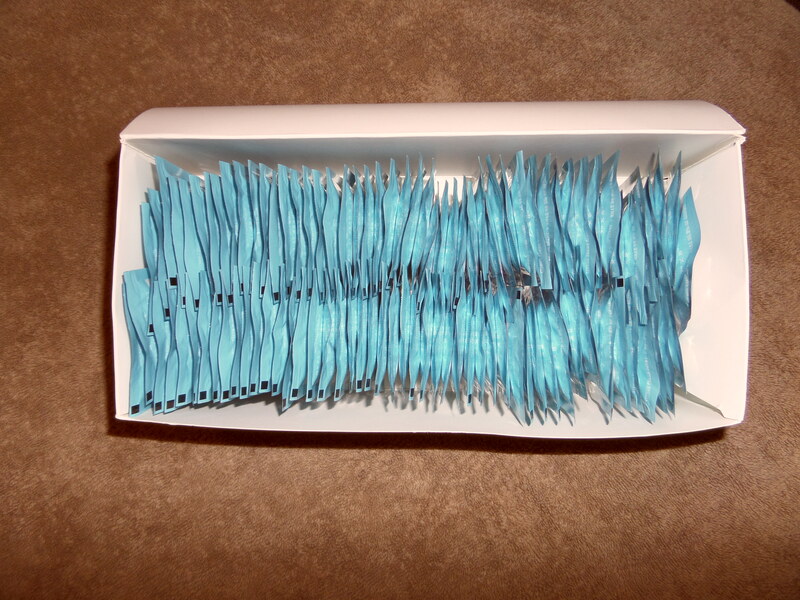 I was also very impressed with the amount of wipes that I received for the price ($19.99 for 100 extra-large wipes!). 100 ct. EXTRA LARGE individually wrapped 7″ x 8″ wipes. The LARGEST sanitizing wipe on the market. Use on hands, body, and surfaces. Alcohol-free. Vitamin E + Aloe. Feels amazing (not sticky) on your hands! Citrus Fresh Scent that smells incredible! Made in the USA. The Website: Purchased from Amazon! Click Here. Thanks for reading! Wishing you complete sanitization to avoid all your bacterial infections! Disclaimer: I received this product in exchange for my review; however, opinions are 100% my own. Previous Post Outside of the Box: Bags for Less Review Number TWO! Next Post HSI Professional Review!